‘…the book is fantastic!! I ordered one a few months back and my 8 week old son loves it. I have been telling all my friends and am buying one for all the new babies!’ Kate, Brunswick, Victoria. ‘Hi Katey, I received the book today. It is fantastic…I’m very happy with it. My 20 month old son loves it as well, and as the name suggests my 10 week old is MESMERISED.’ Cara, Hobart, Tasmania. ‘Just wanted to say that my 5 month old baby LOVES Mesmerised and has done since she was only a month old. We just did a 10,000km car trip with her and Mesmerised saved the day. Thanks.’ Susie, Kununurra, WA. 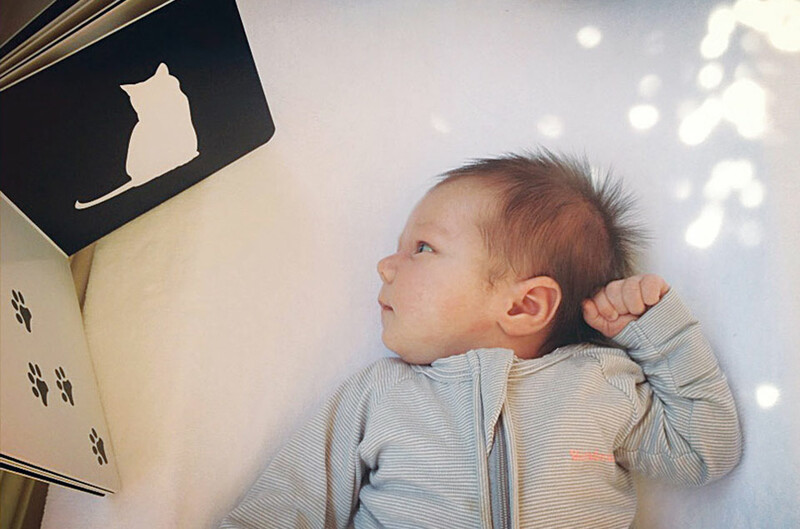 ‘Hi Katey – just wanted to say that we got Mesmerised and Baby Face as a gift at birth, and our little fella is now nearly 9 months old – and they are still his favourite books. At story time, from the stack of books he always reaches for these. The way he looks at the pictures, laughs at the sounds we make – like the fish blup blup & blow the petals on the flower – and leans into the faces … he just ‘gets’ these like no other picture books’. And of course the best testimonials are from the babies themselves. Check out the Photo Gallery page for proof that babies of all ages really are captivated and ‘mesmerised’ by Mesmerised books.